My passion for music started at a very early age and was certainly fuelled by my parents same passion. I grew up with music being played all around the house at all hours and was immersed in many different styles and genres including artists such as The Beatles and Stevie Wonder, through to jazz from the 50s and 60s. 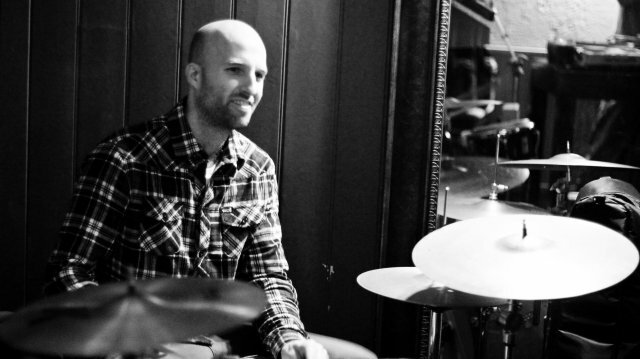 I began playing the drums at the age of ten through taking lessons at school and have steadily progressed from there, taking private lessons with a range of tutors, attending workshops and also studying the instrument to degree level. I then completed a masters in jazz at Trinity College of Music in 2011, studying with Dave Wickins, Liam Noble, Julian Siegal and Simon Purcell amongst others. As a professional drummer I have played in numerous bands covering most styles including pop, rock, jazz, latin, funk, hip-hop and reggae. My current projects are Lucky Elephant and The Root Source who have releases imminent as well as current releases on Sunday Best Recordings(www.sundaybest.net) & Freestyle Records (www.freestylerecords.co.uk) as well as both being published by Westbury Music (www.westburymusicltd.co.uk). I have experience of the nature of releasing records as well as a lot of experience in the whole recording process, all the way from tracking to production and mixing/mastering. I have also been very lucky to have had the opportunity to have played with and supported some fantastic artists including The James Taylor Quartet, Alice Russell, Nicola Conte, Lonnie Smith, Lou Donaldson and Plaid. I really value good musical education and enjoy passing on my knowledge, experience and enthusiasm, whether it’s a group of 5/6 year olds starting on the very basics of rhythm, or an 18 year old budding musician advancing through the tricky stylings of jazz, I find it all equally as rewarding. I have taught pupils on a one to one basis for around five years which I enjoy greatly, and have taught a large variety of ages and abilities from 40 year old complete beginners to frighteningly good ten year olds! I have also done some project work in a junior school where I devised a course to be taught to a classroom of twelve year olds once a week over the course of 6 weeks. The course included teaching basic harmony, melody and rhythm, and this was taught on a variety of instruments with the children placed into groups. We were evaluated and offered advice throughout the course by the head of music at the school. Other group teaching I've done is an after school percussion workshop for a group of five/six year olds. My approach to the lessons is enthusiastic but relaxed, I am happy to work on specific subjects the student wants to cover or alternatively advise my own material to work on. I also like turning students on to new music by doing compilation cds and getting them interested in new and different styles and genres. Being able to play other instruments while teaching the drums is a big advantage I find, because I can jam along with my students and put what I’m explaining into a musical context as early as possible and give the less experienced of them valuable experience in playing with other musicians, which is what it's all about. I can teach to existing syllabuses or if none are in place I devise a lesson structure to suit the individual taking into account age, ability and their own aspirations. I am also comfortable teaching graded courses such as Guildhall or Rock School etc. LaurenceFrom Sally (5/5): We have been very pleased with Laurence's teaching so far, he is fun and reliable.